Toronto Beer Week Begins Tonight! Toronto Beer Week, a nine-day celebration of craft beer in the city, officially begins tonight. Featuring over 35 breweries and 75 bars, Toronto will be awash in delicious beer from today until September 26th. There are over 125 events and counting coming up, including beer festivals, tap takeovers, beer dinners, pairings and more. This year sees the debut of Six Boroughs, the official beer of Toronto Beer Week. Six Boroughs is a bourbon barrel-aged rye porter, which will be available at select LCBOs across Toronto as well as at select events during the week. 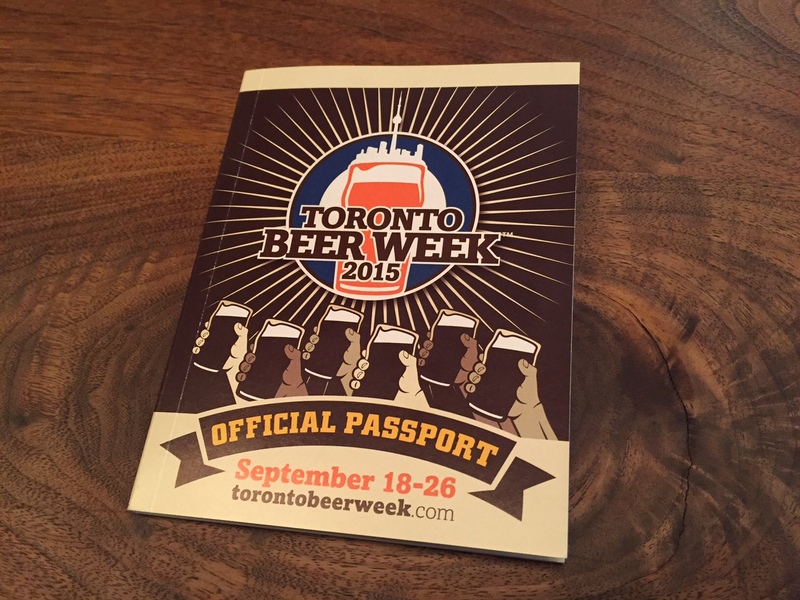 You can pick up a free passport at participating venues, which includes a directory of the bars, breweries and restaurants of Toronto Beer Week, partner information and more. Toronto Beer Week has received generous support from both Premier Kathleen Wynne and Mayor John Tory, signifying the stature that craft beer holds in the city and province today. Select bars across Toronto have also received 4am liquor license extensions for Toronto Beer Week – find out more details on that in the passport on online, and at the venues themselves. Happy Toronto Beer Week, and we hope to see you out at some great events! The Bar Towel is a proud supporter of Toronto Beer Week. The Bar Towel’s Golden Tap Awards will be taking place on Wednesday, September 23rd at beerbistro with over 25 breweries participating in an all-Ontario craft beer festival.